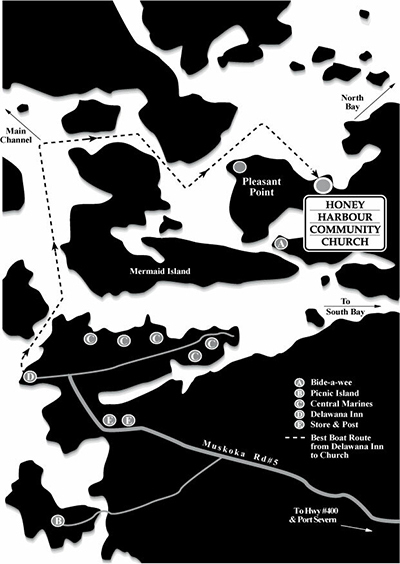 The Honey Harbour Community Church holds weekly services on the Schoolhouse grounds starting at 10:30 AM on select Sundays through the summer and fall. For more information, download the church schedule or view it on the events calendar. Sports clothes are in order. Sunday program, including children's program. Please stay for the coffee and fellowship after the services. We are supported by weekly offering and donations which are tax deductible. We welcome people of any denomination to join in a beautiful outdoor scenery for worship each Sunday.